Q.Please Introduce yourself to our readers. Godwin: I am Godwin Diogo Franco player of Dempo SC from Goa India ...I play as Central Midfielder , I play on the right and left wing also. Q. Who is your idol? Q. Can you tell us about your family. Godwin: Well I live with my family in Goa and they have supported me in my football a lot. I am very grateful to them. Q. Please tell us about your experience with Pune FC and SC Goa. Godwin: It was a great experience with Pune FC . We stood 3rd in the I League on debut. Sporting clube de Goa was also a great experience too. We came 3rd too in my last season with them in the I-League then I joined Pune FC. Q. Take us through to your early days. Godwin: Well I started very young as a footballer, played ever since I was a young kid....played for Assagao Anjuna Football Academy at various youth levels, then I joined SESA Football Academy where I graduated and started my senior career at 18 years with Churchill Brothers(2 seasons) then Fransa FC (1 season) then Sporting Clube de Goa (3 seasons) then Pune FC (1 season) and now Dempo SC. 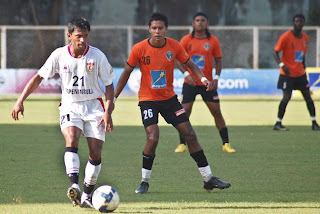 Played for India U-19 , U-21 palyed for Goa at various youth levels and for Goa at the santosh trophy too. Q. 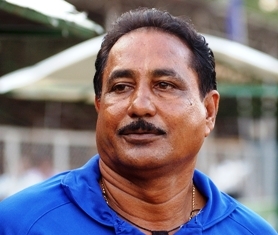 How does it feel to play for a club of the stature of Dempo under a coach like Armando Colaco? Godwin: Well its an absolutely fantastic feeling playing for Dempo SC who have set and maintained a standard in Indian football and have done excceedingly well at Asian level.Dempo reaching the semi finals of the AFC Cup is massive for Indian Football. Armando Colaco is an absolutely amazing coach,a dream coach for any footballer. He makes you feel at home all the time. Always encouraging and positive, he knows how to get the best out of any player. It is an absolute honour to play under him. Above all he is an absolutely amazing human being, very down to earth full of humility. "He makes you feel at home all the time. Always encouraging and positive, he knows how to get the best out of any player. " Q. Do you feel that Goa has one of the best Youth Development System in India? Godwin: Yes by far . It is very evident .All the clubs in goa have age group teams at all levels participating in the various age group leagues of GFA. Dempo has a very good youth system over the years from which many players come through the ranks to the senior team. Q. We heard that you had a bad injury back in 2009. Take us through that. Godwin: It was a very serious injury. But GOD got me back to the field very fast without any hassle. I am playing better than ever before after that. It is a total miracle of GOD . I thank GOD very much. Q. When are you expecting yourself of a call up for the National Team? Godwin: My duty is to play well and by GODS grace I will play for the senior National Team soon. 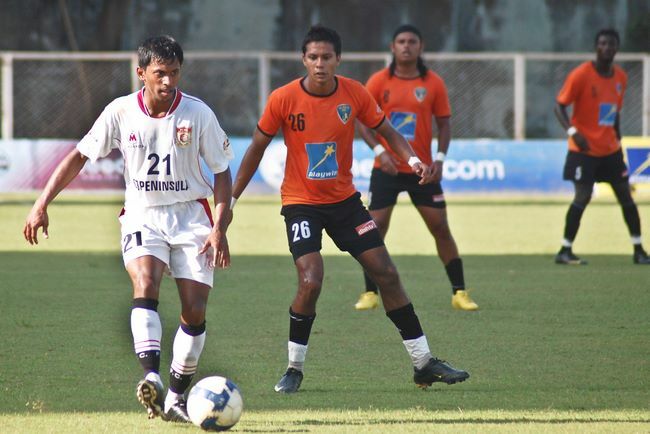 Q. Dempo are currently at 4th position, 6 points behind league leaders Salgaocar. With 9 matches to go, do you see Dempo make it to yet another i-League championship in their kitty. Godwin: We have been very consistent winning all the matches so far .We have to keep focus on and win the remainder of our matches. Q. 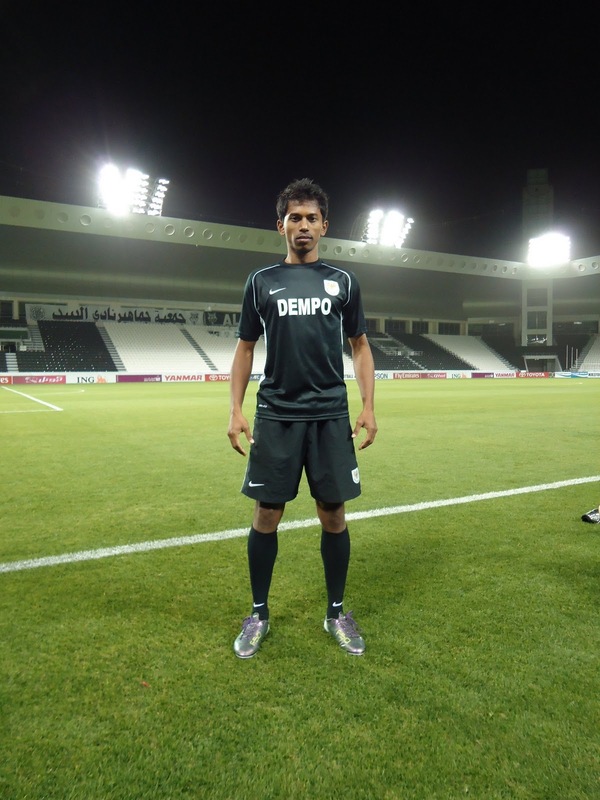 Whom do you credit for Dempo's success in the national level as well as in Asian Level in tournaments like AFC Cup. Godwin: First without the owner we would not have the team.Our owner is a fantastic person.Well, football is a team game and everyone at Dempo has contributed to its success, but Sir Armando by far has been the centrifugal force of the clubs success in India and Asian level around whom this Dempo team revolves.He has built this team which plays quality football and has set a very high standard .His record speaks for himself. He is the only Indian coach to go 5 times to the AFC Cup and win 4 I league titles.Also having won so may other trophies. He has got huge respect not only in India but in Asia too..
Q. We hope that you have a glorious career ahead. Would you like to say anything to our Readers at INDIAN FOOTBALL(blog)? Godwin: My message is keep following India Football. Thanks a lot and GOD bless. Thank you Godwin and Best of Luck for your career ahead. So, That was Godwin Franco, Dempo. And this does not end here....we promise to bring you interviews with other renowned entities of Indian Football soon.....stay tuned.